Simon Fraser University has it all - academic excellence, innovative programs, some of Canada's best varsity sport teams, and a vibrant and international campus community. It's no wonder SFU is consistently ranked one of Canada's top universities. Fraser International College (FIC), in association with SFU, offers international students a unique pathway to one of Canada’s leading universities. UTP Stage II is offered in association with SFU as a pathway to a degree at SFU. Depending on your secondary school qualifications and grades, you may apply directly to UTP Stage II. The courses taken during this program are designed by SFU and all instructors are approved by the university. To progress to the second year of the relevant degree program at SFU, you must complete 10 academic courses and achieve the minimum grade-point average (GPA) specified for your program of study at SFU. You can complete UTP Stage II in three terms (one year). Why Pathway program at FIC? Pre-Master’s Programs FIC offers two Pre-Master’s Programs (PMP): Pre-MBA and Pre-Master’s in Engineering. The Pre-Master’s Programs are designed to prepare you for the challenges of studying in an elite master’s program at a highly ranked Canadian university. Due to the comprehensive foundation available during the PMP, the requirements are slightly lower than the requirements for direct admission to the MBA or to the Master of Engineering (MEng). By providing your details you are consenting to Simon Fraser University & FIC sending you information about the university that is relevant to your interests, such as: courses and subjects, events, funding, student life, accommodation and careers. 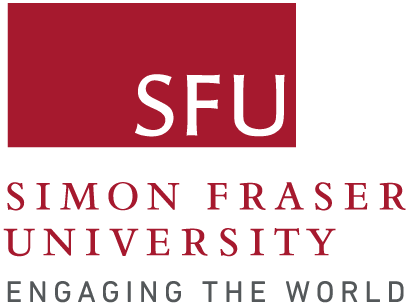 Simon Fraser University & FIC will never sell, rent, or give away your data for third-party marketing, however they may work with partner organisations to send you relevant information about Simon Fraser University & FIC. FIC is located on SFU's Burnaby Mountain campus in the thriving and culturally diverse city of Burnaby, a 25-minute drive from downtown Vancouver. Perched atop Burnaby Mountain, Simon Fraser University's original Arthur Erickson-designed campus now includes more than three dozen academic buildings and is flanked by UniverCity, a flourishing sustainable residential community. Surrey campus: Simon Fraser University's Surrey campus is a vibrant community hub located in the heart of one of Canada’s fastest-growing cities. Close to the Surrey Central transit station, the dramatic Bing Thom-designed campus is conveniently situated between Metro Vancouver and communities south of the Fraser River. 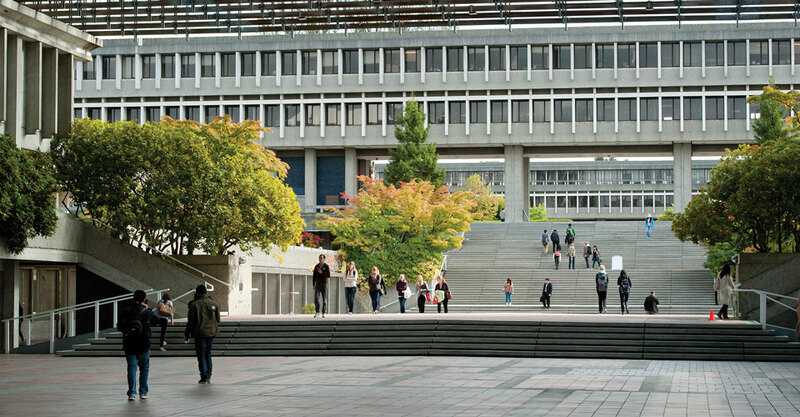 Vancouver campus: Described by the Vancouver Sun as the "intellectual heart of the city," Simon Fraser University’s Vancouver campus transformed the landscape of urban education in downtown Vancouver. The campus is comprised of multiple facilities clustered in the core of one of the world’s most liveable cities.